It’s Computer Science Education Week (CSEdWeek)! Are you celebrating? As part of the celebration I’ll be joining other tech and computing leaders in a CSEdWeek Twitter conversation on Tues, Dec 11 at 6pm ET If you are a Twitter user I hope you will join us. And follow me at @AlfredTwo as well. On the CSEdWeek blog Pat Yongpradit (@mryongpradit) writes about Extending CS beyond classroom walls. It’s Turtles All The Way Down A HS CS teacher creates his own version of turtle graphics as a teaching tool. Tom is a good friend of mine and I look forward to seeing how this works out for him. He’s going to use this to introduce some programming concepts to his applications students. Microsoft has a bit of a confusing story about Windows 8 and Windows RT(which runs on the Surface) This article and video Windows 8 vs Windows RT: will help you understanding the differences. 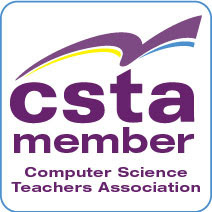 Ensuring Teacher Voices Are Heard is an important post on the CSTA blog about a research survey effort to collect information about CS education. If you haven’t taken the survey and you teach HS CS please do. Also please share with any computer science teachers you know. My friend Tara Walker (@taraw) has written a new post (the first in a series) that looks like it will be helpful to anyone teaching game development. So check out Windows 8 Game Development using C#, XNA and MonoGame 3.0: Building a Shooter Game Walkthrough. Lindsey Kuper writes about Reasons to Study Computer Science: The people are interesting. The ideas are fun to think about. Right on the money in my experience. This week's CS Bits & Bytes is about Cryptography. Actually I think they come out every other week. Either way these are useful regular email updates that are handy for teachers. 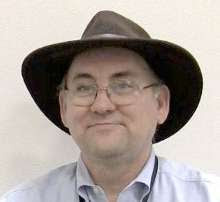 A British teacher, Stephen Falcon (@DrStephenFalcon) has a student task booklet for teaching Visual Basic now available for download from his Google site. To enter, tweet @Skype telling them how you'd use use the technology in your classroom if you won. Your tweet must include the "#SkypeSanta" hashtag in order to count. U.S. Teachers Win at Microsoft Partners in Learning 2012 Global Forum. Read Write Code -- Great slogan for Code HS (@CodeHS) with cool campaign via STEM Ed: CodeHS Wants To Teach Every American High Schooler How To Code. Reasons to Study Computer Science & Ensuring Teacher Voices Are Heard are worth reading. I really appreciate the writers.